A first approach to Michelangelo as sculptor and architect should focus on the most famous works visible in Florence, but you can discover more in order to have an overview of his life and artistic development, characterized by an intimate connection of personal experiences, artistic breakthrough and political turmoil. His most important works include the David, now at the Galleria dell’Accademia, symbol of the Florentine Republic and turning point in the history of sculpture, the Prisoners, heroic fragments of a grand unachieved project, the figures of the New Sacristy at the Medici Chapels interacting with the architectural frame Michelangelo imagined for them, and finally his Florentine architectural masterpiece at the Laurentian Library, where he planned the reading room and the vestibule with its magnificent staircase that flows down from the library itself. 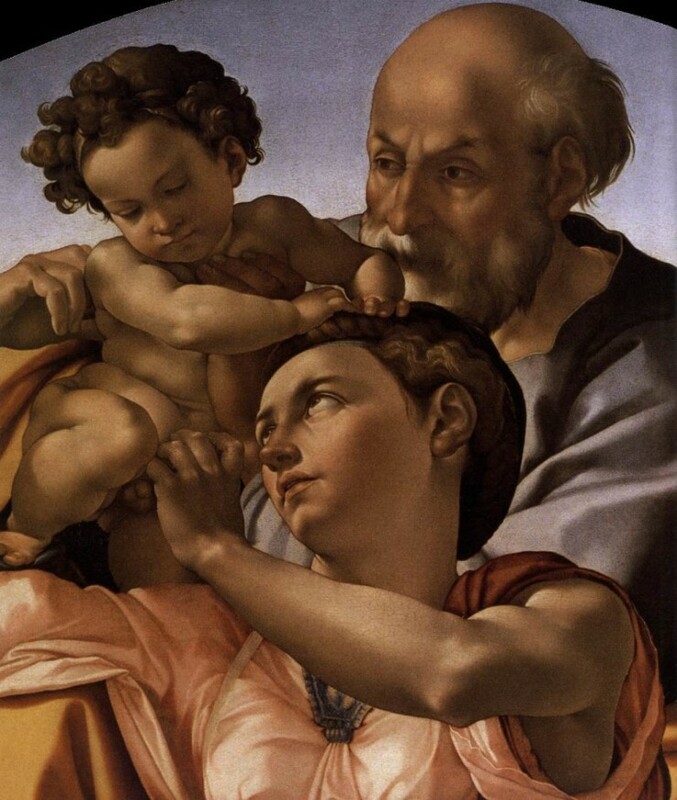 This is also part of our Michelangelo guided tour, but if time allows you can expand your Michelangelo experience. For those wishing to delve into biographical aspects of Michelangelo’s youth and observe his early masterpieces, a visit to the Casa Buonarroti can be enlightening: drawings, sketches, models and reliefs are displayed among family memories in a quite unique setting. 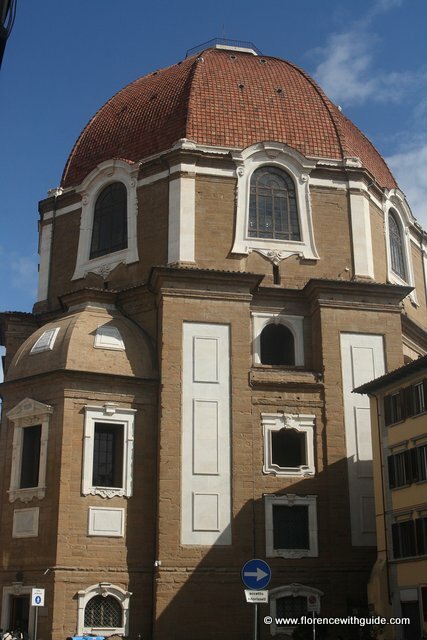 A full day Michelangiolesque pilgrimage should include a stop at the church of Santa Croce, in front of the tomb designed by the Florentine artists for Michelangelo’s body adventurously transported from Rome back to Florence. A stop at the Bargello Museum clarifies the role of Michelangelo in context with the development of Florentine sculpture, from his models to his many imitators. Finally the delicate Crucifixion in the Church of Santo Spirito offers early evidence of the interest in the human body and anatomy that played such an important role in Michelangelo’s career. 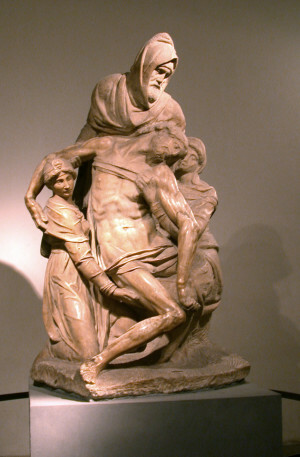 More works by Michelangelo can be found in other important collections: at the Museo dell’Opera del Duomo the moving Pietà Bandini, that Michelangelo meant for his tomb. the Doni tondo in the Uffizi is the only painting by Michelangelo on a mobile support and the Victory inside the Palazzo Vecchio.